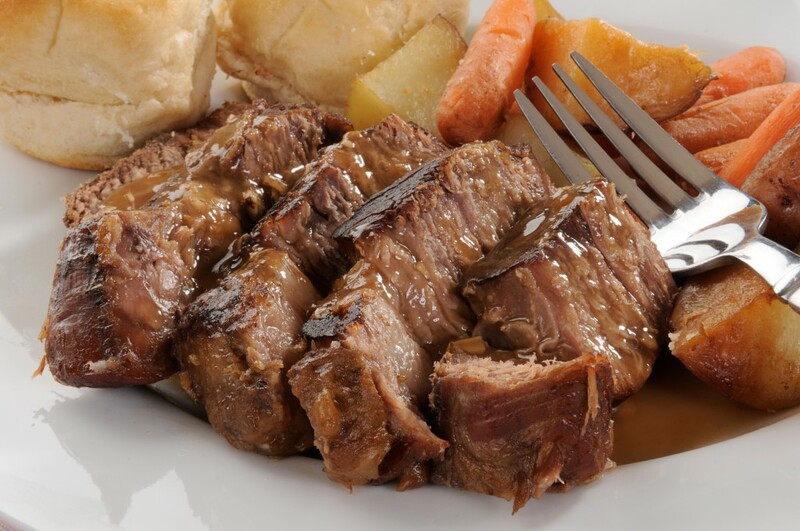 OUR VERY FIRST DEMO video was of a Pot Roast Meal, that we modified for our Thermal Cooker, and Throw together "crock-pot style" recipes are still every ones favorite to do. There are a few tricks we always recommend for success while using our thermal cookers, no matter what you make. ONE: always make sure all ingredients are thawed. Frozen food will cause the temperatures to drop abnormally faster inside your thermal cooker. Use fresh or completely thawed ingredients to ensure an even heat retention during your slow cook. TWO: always make sure your ingredients are covered in liquid and can get to a even boil, first. This Means that your meal may start out looking more like a soup, with a watered down sauce, but this ensures everything will get to an even heating point. After the meal has been at a hard boil for at least two minutes, we recommend that you stir in a thickening agent, (like gravy packets, or cornstarch) and boil for another two minutes before pulling your cooking pots off your heat source, and placing it in the outer thermal unit to continue to slow cook through out the day. Example: In the case of something that is supposed to be saucy like with teriyaki chicken, we start with a our pieces of chicken boiling in a watered down teriyaki, and once it is to an even hard boil, we add more teriyaki sauce that we have added a bit of corn starch in it, to thicken the sauce. Letting it boil while stirring it, for for a couple more minutes then put it in the thermal pot to finish its slow cook and turn off your power source. THREE: To get the maximum SLOW COOK make sure you always have the thermal cooker as full as possible. Air is the enemy to heat retention. The less airspace you have inside your pots of boiling food,before you place the cooking pots into the thermal cooking unit, the better the thermal cooker performs. This is why we offer both sizes of the Saratoga Jacks thermal cooker. The 5.5 Liter model feeds 3-5 people. The 7 liter feeds 6-10 people. Because you are filling the cooking pots to capacity, you want to make sure you are not wasting food, and using the appropriate size for your needs. FOUR: Check the temperature of your meal before serving, to ensure safe serving temperatures. When your food is at a hard boil it is around 212 degrees Fahrenheit (give or take a few degrees at varying altitudes). A good "slow cook" occurs when you can sustain your food above 170 degrees Fahrenheit for several hours, which you can do while using a thermal cooker unit, by trapping the thermal energy off the boil, in the insulated thermal unit. Be careful when opening the unit it can be very hot! Safe serving temperatures according to the US commercial kitchen guidelines are between 145 & 170 degrees Fahrenheit. It is the responsibility of the cook to test the temperatures to ensure food safety. Once the temperatures cool down to 145 degrees Fahrenheit, the cook must either reheat or refrigerate, as they should always do with any leftovers from any other method of home cooking, as well. FIVE: If Dinner is at Six, get it Started and in the Thermal Cooker at the appropriate time. 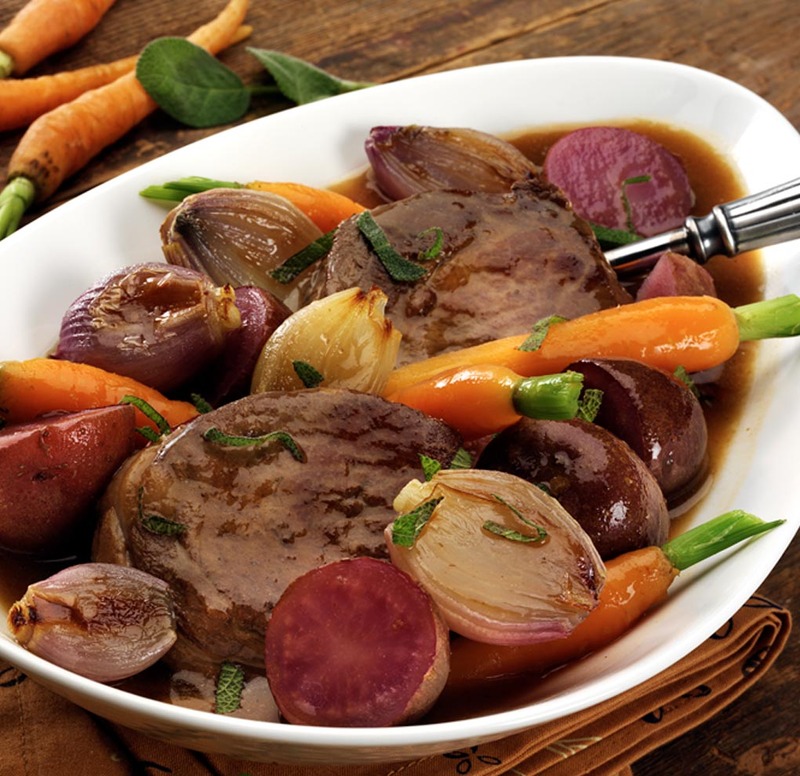 Slow cook recipes like Pot Roasts take up to eight hours. Make sure you plan ahead enough time to make that happen. Other recipes like soups and stews, especially ones made from prepacked dehydrated or freeze dried soup mixes, don't need as much time. get to an even boil....for four minutes while stirring. stack rice pot on top of the Mexican chicken meal... slow cook for at least two hours, but can be eaten up to eight hours later. Serve with tortilla chips! We'd love to hear your stories, have you share your recipes, your photos, and your successes! We will Test them, and if we love them, and nothing like them has ever been submitted before, and we decide to post them, we will send you a $10 gift certificate per recipe, and or story! *By submitting to us you're giving us permission to share and use your experiences, recipes, ideas, and photos with other Saratoga Jacks customers.